The Buckinghamshire countryside, with its rolling hills, fields, hedgerows and trees, inspired much of the art of John Nash (1893-1977), the younger and less well-known brother of Paul Nash. The Nash family had moved from urban London to the county when the brothers were still young, and it made a lasting impression on John in particular. The countryside features in many of his oils, watercolours, wood engravings and line drawings created throughout his career – except for periods during both world wars, when he served as an official war artist in France. 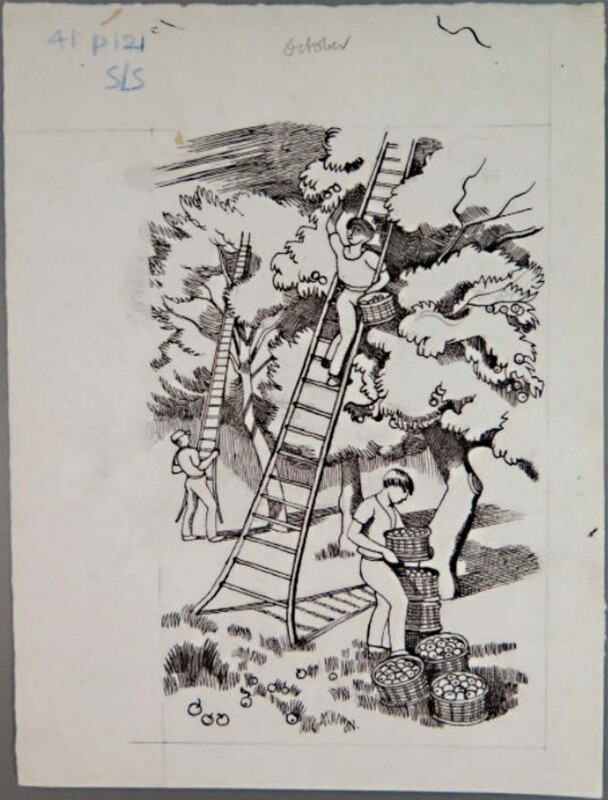 Examples of Nash’s English countryside appeared at Piers Motley Auctions (18% buyer’s premium) on February 19 in Exmouth, in the form of an apparently unpublished set of drawings illustrating the months of the year. 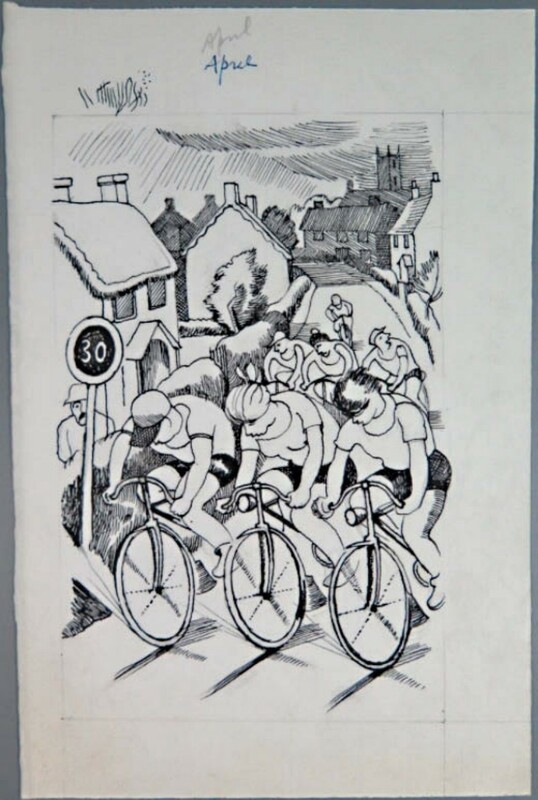 The 11-lot group, which was missing an illustration for the month of December, had been found among the possessions of an elderly local artist and were consigned by her cousin to the sale. Each featured a typical village or countryside scene, such as snow clearing for January, summer fields for July and apple harvesting for October. John Nash had been a prolific illustrator. 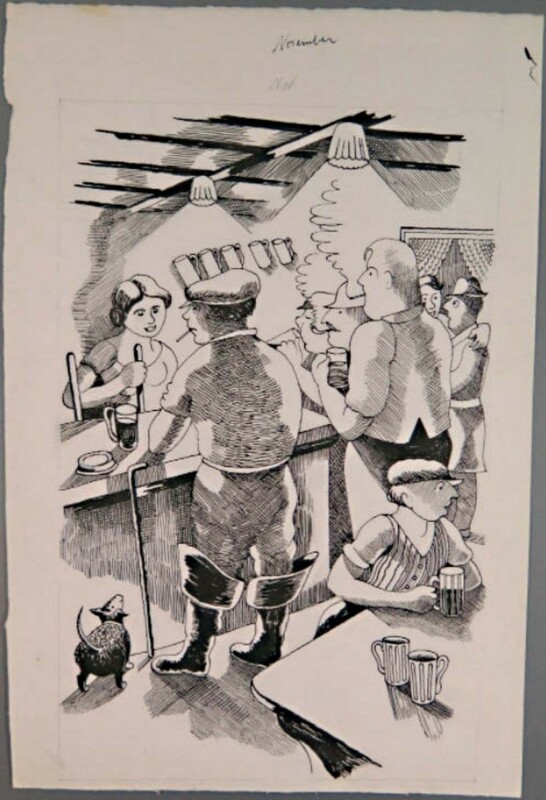 He once wrote that an illustrator’s role is “not merely to make picture books but to convey by his illustrations an enhanced sense of the book and its impact on the artist”. His work in this field, particularly his wood engravings, were much sought-after by private presses. Pen and ink illustration by John Nash (1893-1977) from a group of 11 illustrating months of the year offered at Piers Motley Auctions. November, 11 x 6in (28 x 16 cm) – £430. 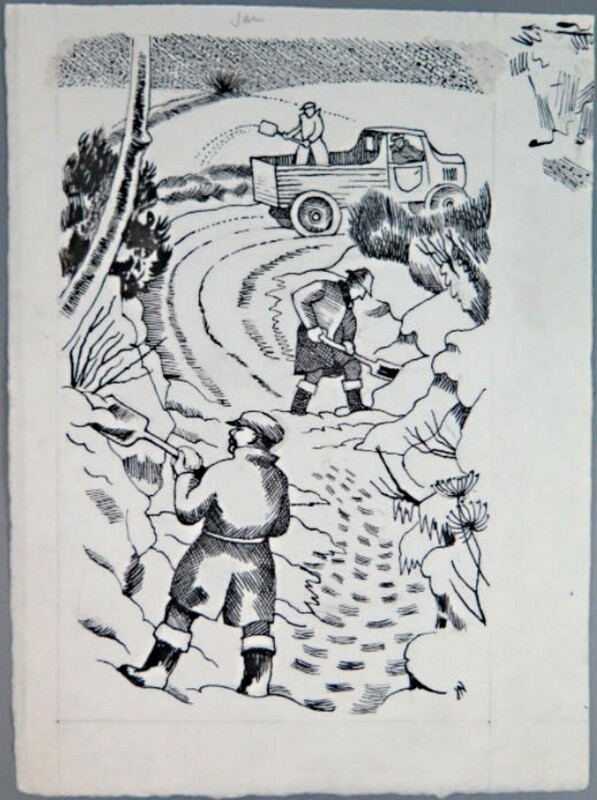 One-line catalogue entries for the pen and ink illustrations at Piers Motley Auctions stated they were intended for The Countryside Book, an unrecorded work that appears never to have been published. Opinion in the trade was that they were created for a calendar – possibly a private company commission – and date to the 1950s. On the day, every work got away to four different buyers to total £5520, each selling comfortably above their £200-300 guide to a mixture of private and trade bidders (see illustrations for highlights).